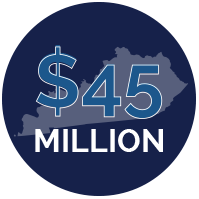 $45 million USDA grant/loan combo for a hospital in Kentucky for a major construction project. 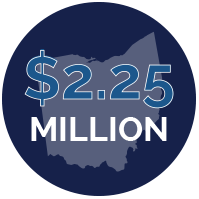 $2.25 million grant for an Ohio facility for participation in a DOD Clinical Study Site for the treatment of post-traumatic stress disorder and traumatic brain injury. 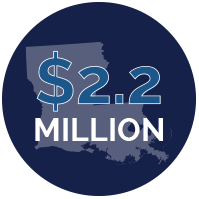 $2.2 million grant for a Louisiana facility from HRSA for strengthening the safety net for underinsured and uninsured citizens. 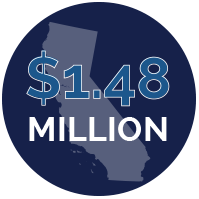 $1.48 million grant for a California medical facility from HRSA (Health Resources and Services Administration) to be part of a national study on Electronic Medical Records’ impact on care for HIV/AIDS patients. Assisted a national medical specialty organization in securing authorization and funding for an NIH-chartered National Commission on Digestive Diseases to develop a long-range research, prevention, and education plan.